One of the editorial cartoons provoked by the Charlie Hebdo attack depicts an airplane flying towards two gigantic pencils, evoking the horrific 2001 attack on the twin towers. Indeed, many here view the attack on the French satirical weekly as France's 9/11. Which is exactly what the terrorists want. What would truly be a disaster now would be for France (and Europe) to react to the Charlie Hebdo attack in the same blind, mindless fashion that America's leaders reacted to 9/11. Nothing would more benefit al-Qaeda and its modern spin-offs. The U.S. reaction plunged America into horrendously bloody and incredibly expensive conflicts on the other side of the globe with peoples and cultures it knows precious little about. More than twelve years later, America's drones and Special Forces are scattered over the planet. Though Bin Laden was long ago killed, like a cancerous cell, al-Qaeda -- and its even more brutal spin-offs -- have spread across the Middle East and Africa. For every jihadi leader killed in Yemen, Somalia, Mali or Iraq, ten more seem to take their place. Just as disastrous, America's own vaunted traditions of freedom and liberty have also been victims to the overwrought reaction to 9/11. Meanwhile, many of the U.S. reactions, like the widespread use of drones and the shame of Guantanamo -- have been al-Qaeda's best recruiting posters. Indeed, one of the two brothers responsible for the Charlie Hebdo attack claimed back in 2005 when he was arrested for recruiting French jihadis to fight in Iraq against the U.S., that he'd been provoked to action by photos of American soldiers torturing Muslim prisoners at Abu Ghraib. It's thus naïve to think that the only motive for the attack on Charlie Hebdo was to exact vengeance for the publication of cartoons mocking Mohammed. As Juan Cole has pointed out, by far the more important goal was to inflame the already volatile sentiments of race and religion in France -- as well as the rest of Europe. The strategy being to strengthen the far-right movements of formerly shunned xenophobic leaders like Marine Le Pen, who have long campaigned against immigration and warned darkly of the coming Muslim takeover of France and the rest of Europe. At the same time, by provoking widespread repression and islamophobia, the terrorists hope to convince France's Muslims that they no longer have a place in the nation. In fact, the great majority of those Muslims, though on the lowest rungs of the economic ladder and often discriminated against, have long shunned radical Islam. Despite everything, they have insisted on identifying themselves as French above all. It would be a tragedy if that were to change. Despite the impressive popular demonstrations of solidarity with Charlie Hebdo and France's democratic traditions, there have also been a rising number of attacks on Muslim targets, and calls from the right for action. As I have previously written, many now feel that their country is at war with radical Islam. The danger is that, despite the warnings of editorialists and political leaders, in that "war" the distinctions will get blurred -- the distinctions between a radical Islamists advocating terror, and Muslims as a whole. The danger is that, over the coming days, French leaders, reacting to public fear and outrage, and desperate to compete with Marine Le Pen, will push for ever more draconian measures against immigrants in general, Muslims in particular. Those newly radicalized Muslim youth would provide more recruits for jihad. But what can the French authorities do? The two brothers responsible for the Charlie Hebdo attacks were already well known to French police. Incredibly, both were also on the no-fly list in the United States. Similarly, Mohammed Merah, another young French Muslim of Algerian decent who shot down seven people near Toulouse in 2013, had also been on the French police's watch list. The problem is there are perhaps thousands of young Muslims in this country who have any kind of links with jihad. What's to be done? Put them all in some kind of preventative detention? Deport them all? French citizens? For what crime? For years, French leaders have talked about creating more jobs to help assimilate the millions of young unemployed Muslims into French society? Little has been done. France's economy is a shambles. The unemployment is rate more than 10 percent, probably 30 percent in the poorer banlieues. Meanwhile, France which has a huge budget deficit, now has more than 3,500 troops combating radical Islamic groups in the wilds of the Sahel of North Africa, and other contingents in Djibouti, the Central African Republic, and Afghanistan. Bottom line, France today is at a desperate turning point. Its leaders must somehow crack down on the undeniable threat of jihad from French Muslims, without at the same time alienating millions of its Muslim citizens who have nothing to do with radical Islam. They must continue to emphasize the unity of the nation, resist the mounting calls for drastic new laws, and the temptation to adopt the islamophobic slogans of the far right. They must also avoid getting mired even deeper into military adventures into distant lands. 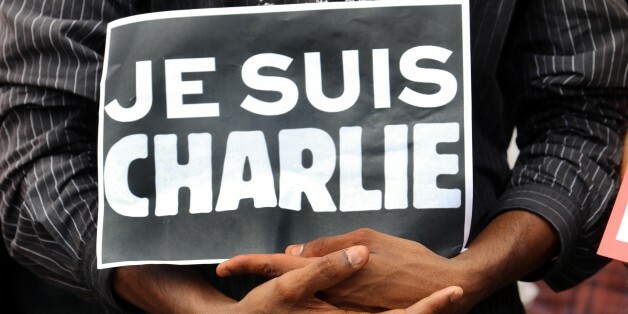 If they fail, they play right into the hands of those who carried out the horrific attack on Charlie Hebdo this week. A much tougher and long-term challenge is for the Islamic world to carry out the kind of modernizing transformation that a few -- but nearly not enough -- of their leaders have been advocating for years. Who knows how long that could take?